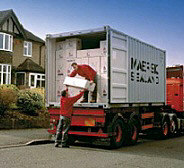 In addition to being full members of the British Association of Removers (B.A.R.) 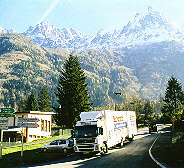 Britannia are members of the European Moving Group (E.M.G.) and Fedemac. These organisations represent European movers collectively operating thoughout Europe with a vehicle fleet of over 1500 vehicles, emplying over 8,000 staff. Should you wish to move your car along with your household effects, Britannia are able to offer this in either your own soleuse container or as part of a shared consignment. Items required urgently at the destination can be sent by air. Britannia will pack these in to airline approved cartons or cases. For smaller consignments to remote destinations, your effects can be case packed for shared loading. Moving to Australia or New Zealand ?